For the second year running, Cosentino is providing one of its Elite Studios a 50% scholarship, to send a member of their staff on the Foundation Degree course in Kitchen Design at Buckinghamshire New University. The recipient of the 2018 50% scholarship is Allie Daden, owner and head designer at Daden Interiors, based in Fleet. Established in 1997, the family-owned business designs, manufactures and installs bespoke interior solutions for the home. Beginning in October, the distance-learning course is taught by industry experts and covers topics, such as design, sales and marketing, business, materials, manufacturing and project management. 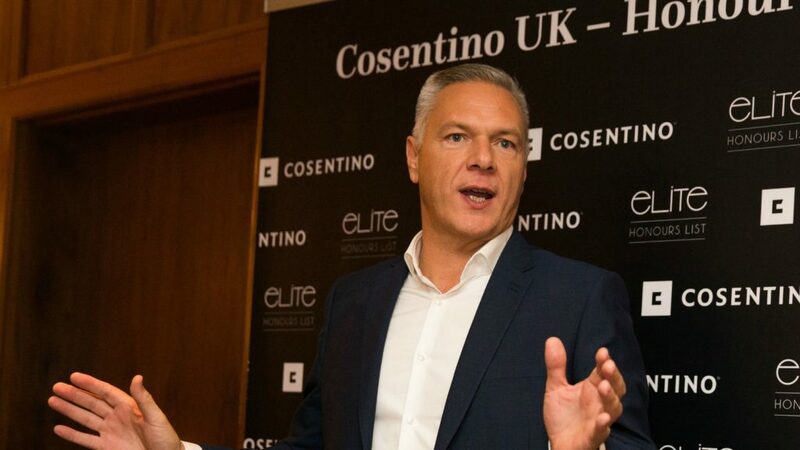 Area director for Cosentino UK Paul Gidley said: “At Cosentino, we are committed to supporting our industry and nurturing upcoming talent. “We are delighted to be supporting Allie, through The Kitchen Education Trust (TKET), with a 50% scholarship on this prestigious course, and we look forward to seeing her progress. Cosentino recently honoured 18 of its Elite Premium Studios at its annual awards. TKET is a registered charity that provides a link between the kitchen industry and higher education. It acts as an intermediary for the kitchen sector in the award of scholarships to successful applicants, to attend the Foundation Degree in Kitchen Design at Buckinghamshire New University. TKET is also working with the university to help shape the course content through the Industry Advisory Panel. It aims to raise the profile of the course within the kitchen industry, as well as raise funds to distribute to causes related to kitchen design education.